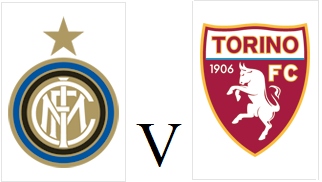 Torino will make the short trip to Milan to face Inter at the San Siro looking for consecutive victories in Serie A for the first time this season. The Granata have not lost any of their last six fixtures, with their last league defeat coming in the dying seconds against neighbours Juventus at the end of November. Bruno Peres is suspended, so Cristian Molinaro should come into the starting eleven as should Kamil Glik who has returned from a suspension of his own. Last weekend's match winner Maxi Lopez could also be rewarded with his first start for the club. Inter have made a number of reinforcements since Roberto Mancini returned to the club, and new signings Lukas Podolski and Xherdan Shaqiri should both feature. The nerazzurri are also on an unbeaten run, and have not lost a game since a 2-1 home defeat against Udinese in December.